How to find a place to live and not get scammed – hey you, AU! Ah, housing. So necessary, and yet such a blight on the otherwise lovely city that Aarhus can be to live in. The sad and honest truth is that there is severe shortage of housing (and more importantly, affordable housing) in Aarhus, and this is a situation that is unlikely to improve for the foreseeable future. The International Extraordinaire understands just exactly how frustrating the situation is (having lived in 4 different apartments during their first 10 months in Aarhus), and offers its sincerest sympathy. However. This is the situation, and no matter how frustrating it is, there is simply nothing that can be done to change it. And furthermore, there is sadly nothing that the International Centre can do either, for two reasons. Firstly, student housing (ungdomsbolig) in Aarhus is run by the municipality and not by the University: therefore, they have no control over the amount of housing that is available, who housing is offered to, which housing is offered, and when. This goes for both international and Danish students. Secondly, as a full degree student, you are given the privilege of being classed as a Dane. As full degreers, we are expected to demonstrate a greater level of independence compared to exchange students counterparts. Therefore, we should be expected to be treated in exactly the same way as our Danish contemporaries. However! The simple truth of the matter is that it is not the same for us as Danish students when it comes to pretty much anything in Aarhus. Of course it is this way! Over time you grow accustomed to the idiosyncrasies of Aarhus and it becomes the norm, but at the beginning it is most definitely a challenge. The International Extraordinaire does not underestimate how unsettling and upsetting it can be if you do not have anywhere to live, so we are here to try and offer you all the advice we can. If you have any questions that are not answered in these pages, please contact us and we’ll try to help/add this info to our lists. However, PLEASE NOTE THAT THIS IS NOT A SPACE FOR ADVERTISING HOUSING OR ADVERTISING YOUR NEED FOR SOMEWHERE TO LIVE. WE WILL PROVIDE LINKS FOR THOSE SERVICES. I. 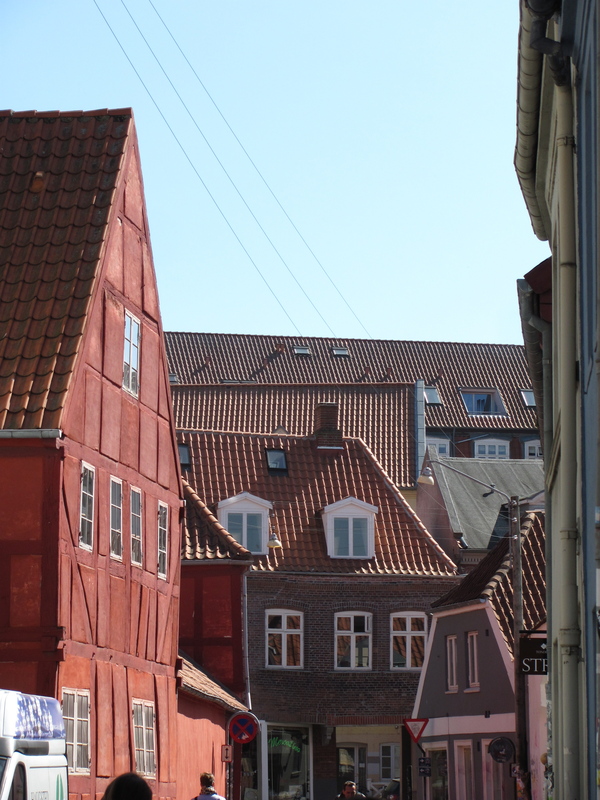 You are coming to Aarhus as a fresh-faced student in the near future and are looking at what your housing options are. II. You have come to Aarhus without anywhere to live and are wondering what to do next. None of these positions are great. And both require a different tactic, so let’s tackle them one at a time. I. I’m coming to Aarhus in xxxx days/weeks/months. What are my housing options? As soon as you apply to Aarhus University (or read this blog), the first thing that you should do is apply to http://www.kollegie8000.dk/. Now, you’ll notice that this website also has an English version at http://www.studenthousingaarhus.com/. However, if you can get through the Danish (big tip: use google chrome as it automatically translates pages), we recommend that you use both pages, as there is MUCH more information on the Danish site than on the English one (plus the English translation is not the best). What you get on the Danish website that you don’t get on the English is a) a description of all the available housing (extremely useful), b) a bar that scrolls along the top of the website that lists housing available immediately, c) the option to add and remove housing and c) news from the kollegie8000. Also, just a little reminder with the student housing. Do not forgot to renew your application each month, or you WILL have your application deleted. And when you first sign up, they tend to only sign you up for the housing on the outskirts of Aarhus. You need to add all the central housing yourself. When you sign up for housing on this website, as an international student you will be put on the housing guarantee (as long as you select the option). This puts you higher on the waiting list because you are coming from outside of Aarhus and DK. However, it does mean that the housing you are offered will also be further away from the centre, because that is what is available. This is no matter. If you get an offer via the housing guarantee, no matter what, TAKE THIS OFFER. If there is only one piece of advice I can offer you, it is this. If you do not take it, you will then go to the back of the queue on the normal housing list for both Danes and internationals. And arriving at the start of the semester, you will absolutely NOT be given housing before you arrive. We understand that the offer may not be exactly what you want, but trust us. You will not be given another by them in time. So unless you are prepared to rent privately, TAKE THE OFFER. We cannot stress this enough. And if you want proof that we are right, we can give you the names of many, many students, who turned down their offer, and then arrived here homeless. You have been warned. Of course, you may choose to rent privately and not take student accommodation. This is an option, but not an easy one. As a mature student of 28 (27 when I arrived) who had been working for a few years before I came back to student life, I did not feel so inclined to take student housing. And so I arrived without somewhere to live, thinking that renting privately would be easy. But yet this was wrong again: renting privately is no easy, or cheap, feat – especially at the beginning of a semester. More on this in the next section. II. Argh! I’m arriving (or have arrived) in Aarhus and have nowhere to live! Am I going to have to pitch a tent in the University Park until the first snowfall? Many, many students are in the same position. I know this might not help, but knowing that you are not alone and that it is not your fault does help. And of course talking to others means that you might find other people to try and rent a place with. This is a good thing – expand your options as much as possible! ii.So the question is, what are your options? Well, the International Extraordinaire cannot really offer you many websites for housing beyond what you will have already been told before. http://www.boligportal.dk is the main renting website for DK, and http://www.sr.au.dk is a free option and is run by the Aarhus Students Council. The former costs money (around 350 DKK per 2 months) and although you need to pay, it is by far your best option. The SR website has less options and focuses more on shorter-term subletting (fremleje). It is very common in Denmark for students to sublet their apart as many go away for a semester or two for internships, study abroad opportunities or general galavanting around some far off exotic country. iii. So what we can offer you are some tips for using these websites. a. Check ALL the time. Constantly. Housing will disappear within an hour if it’s desirable, so you need to spend any spare time you have on these websites. Places for rent go up on the website relatively often but they are taken just as quickly. b.As soon as you see something suitable, call (if possible). I know this is scary and email is much more preferable when you don’t speak the language, but if you don’t call, you will be too late. Also, it is extremely unlikely that they won’t speak English, so you have nothing to worry about. Just pick up that phone and dial! c. If you are able to view a place, be prepared to make a decision straight away. Of course you should think about it and the International Extraordinaire does not wish to encourage you to make rash and immediate decisions, but during the beginning of the semester the housing rush is so bad that you will need to make a decision very quickly. d. If you see an advertisment online that wants you to pay money upfront before seeing the apartment, DO NOT DO THIS. This is a scam and happens to a few unfortunate students each year, so don’t be one of the unlucky ones and pay any money without seeing somewhere and having a contract ready and able to be signed.